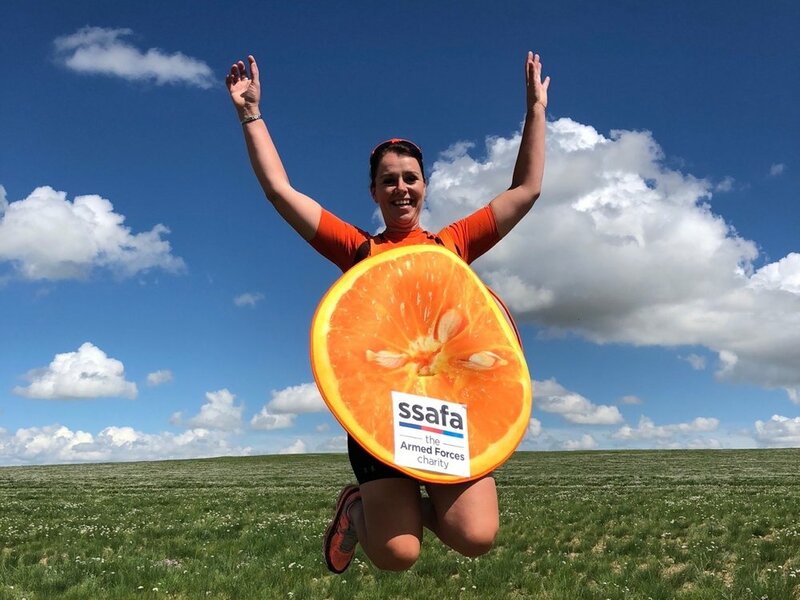 Inspired by her surname, Sally completed her first marathon dressed as an orange, in a bid to show that sport and exercise doesn’t have to be about being the fastest or the fittest, but is more about having fun, making others smile as well as raising money and awareness for charity. She recently completed a marathon on every continent, dressed as a different piece of fruit. Sally’s zest for of life is not confined to running and she has been known to climb Kilmanjaro dressed as a bunch of grapes, complete 5 full Ironman triathlons, (one dressed as an apple), swim the English Channel as part of a wider event known as the Arch to Arc as well as complete the gruelling Marathon des Sables. She has a strong desire to help others achieve their own goals, however big or small, and recently completed a cycle the length of New Zealand on a specially adapted tandem bike. This allowed severely wounded double amputee veterans to cycle using their arms at the front while she steered and pedalled from the rear.